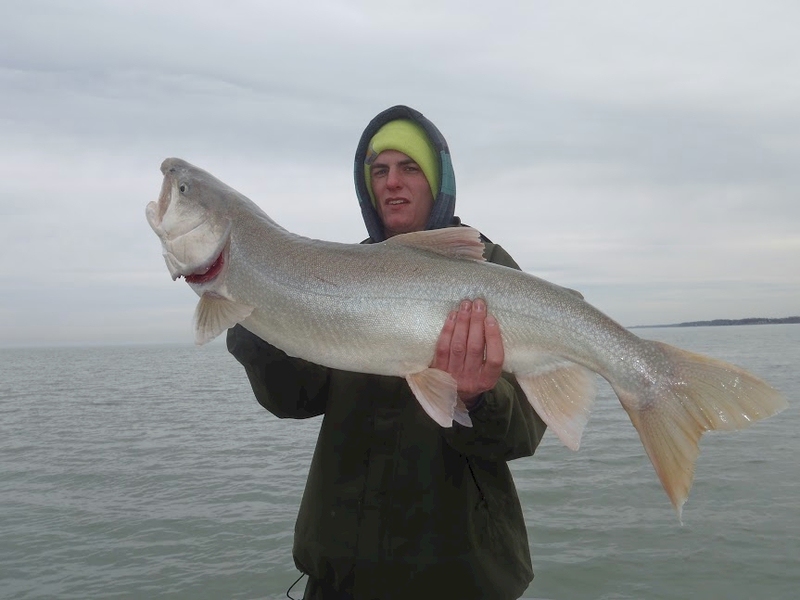 Join Capt. 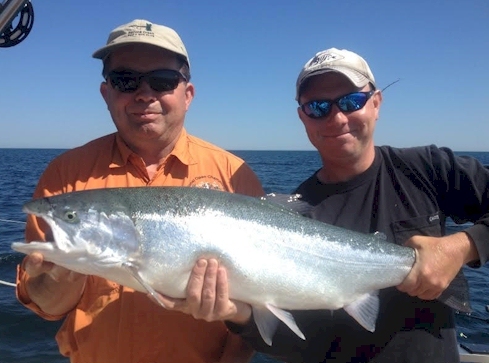 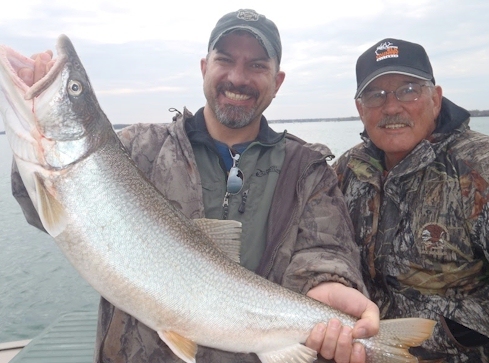 Mark Vilardo and first mate Josh Kane for a fantastic Lake Ontario Fishing experience. 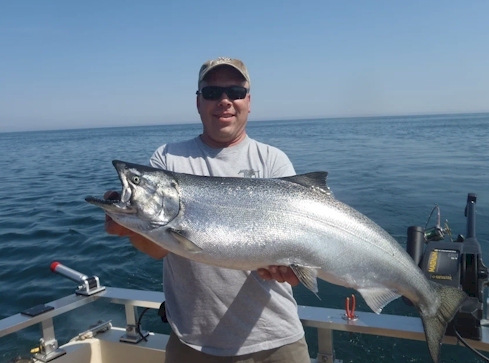 This is big game fishing where king salmon up to 40 lbs. 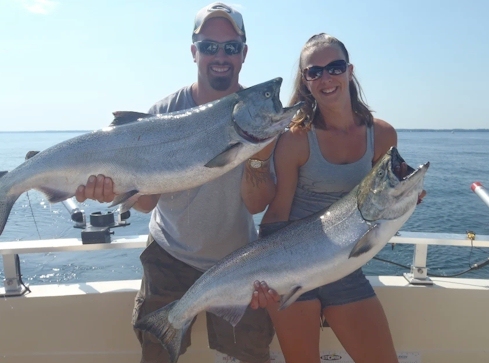 are caught, and limit catches are the norm! 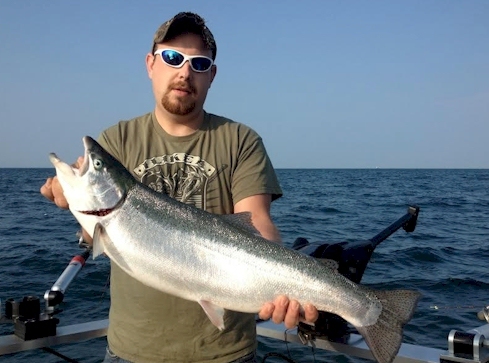 Along with king salmon we catch huge, leaping steelhead, big brown trout, and lake trout. 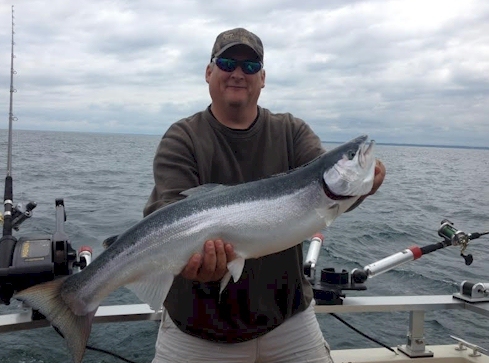 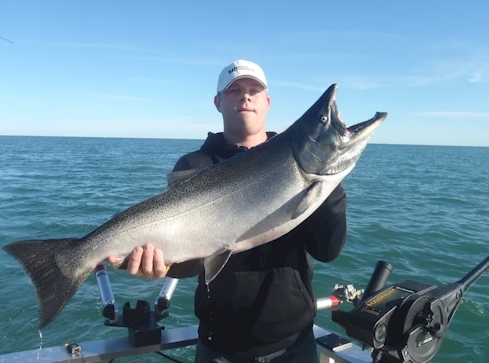 KINGFISHER Lake Ontario charters are done from Olcott Harbor… voted World Fishing Networks “Ultimate Fishing Town”. 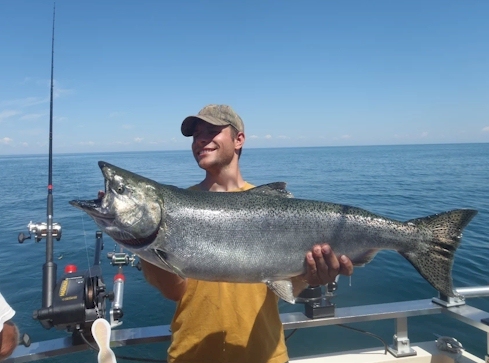 We are a full time charter service fishing Lake Ontario 7 days a week. 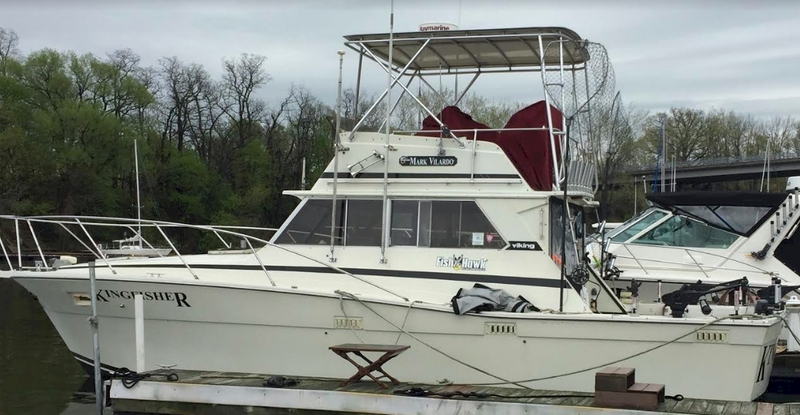 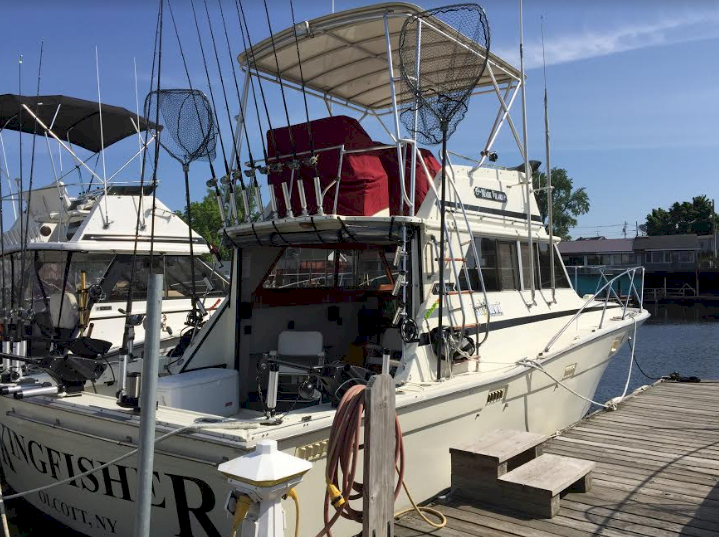 We know where to find fish… and we know how to catch them! 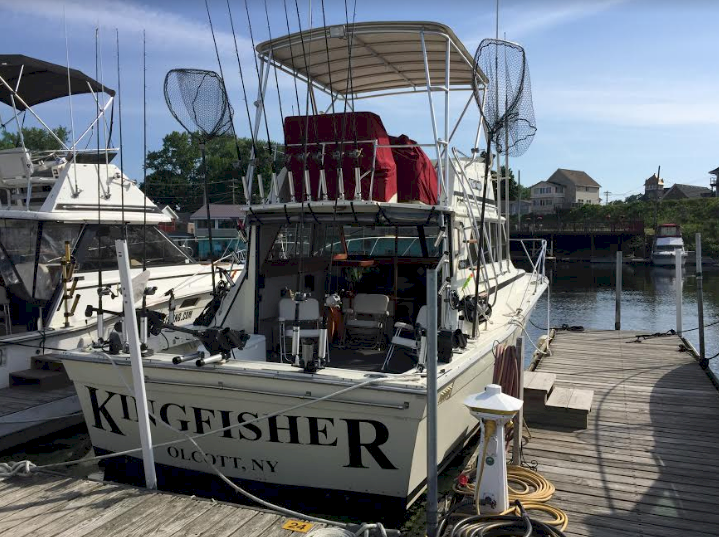 With Kingfisher, it’s not only about catching fish… It’s about catching fish and having fun! 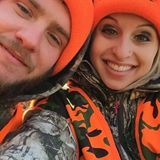 Good times and great memories are what we are all about! 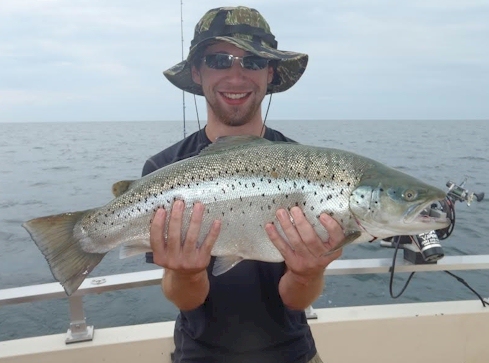 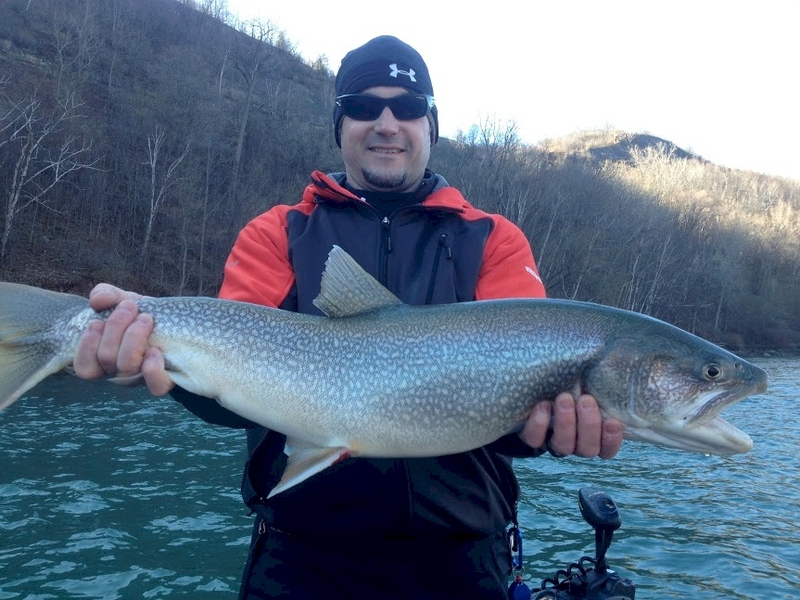 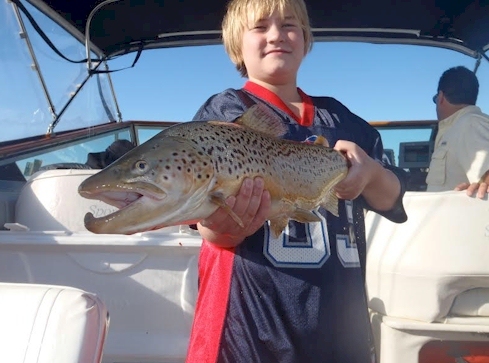 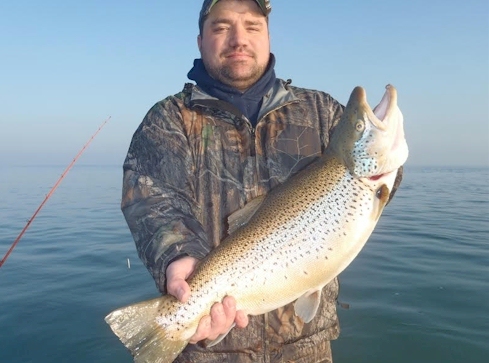 We’re dedicated to providing our clients with an exceptional Lake Ontario Fishing experience. 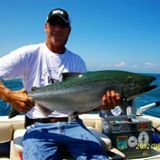 where we catch silver, hard fighting, king salmon in the Spring, Summer, and Fall! 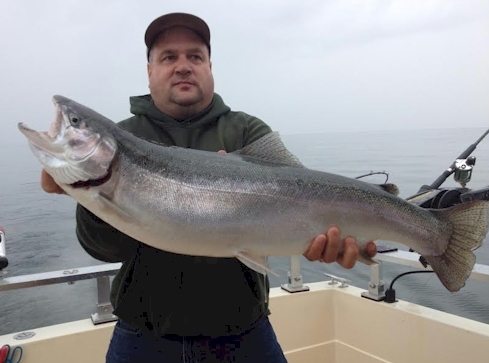 Huge leaping Steelhead are caught all summer long. 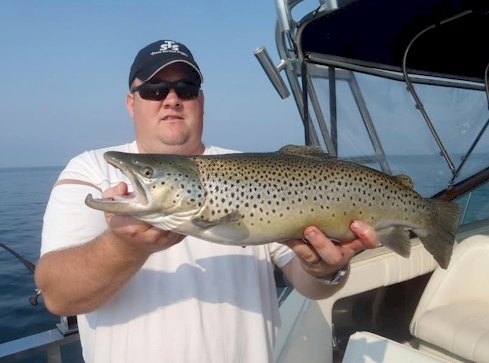 Football Browns are abundant during the Summer Months! 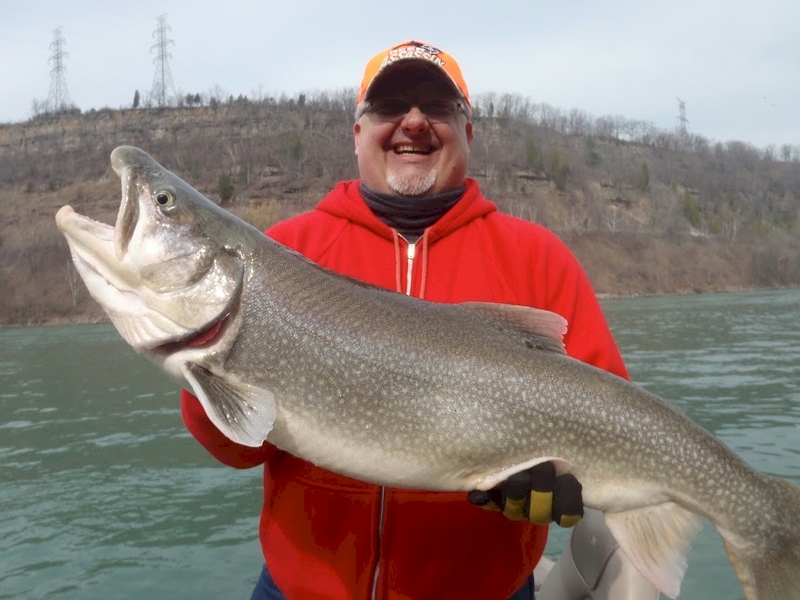 Giant Lake Ontario Lakers caught year round!